Mirrah Reflects on a Life of Servitude, Gratitude and Hip Hop! Mirrah is an artist that encapsulates the very essence of what it means to be multi-faceted and multi-talented. 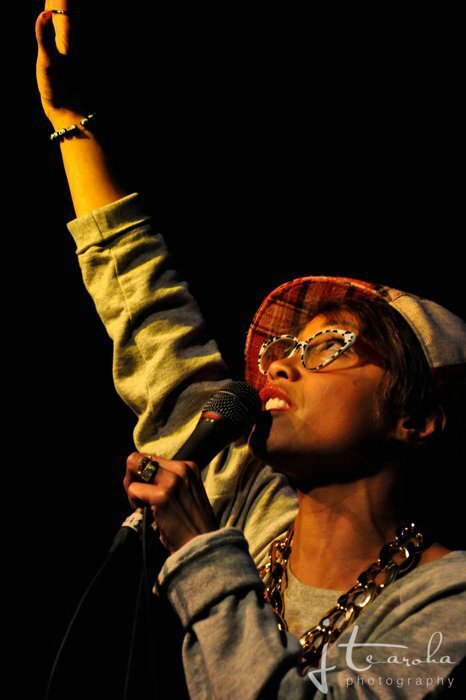 She calls Australia her adoptive home and is proud of her multi-cultural background and beginnings, yet this humble but fiercely passionate rapper, performer, writer, radio personality, and mentor and humanitarian holds her ground on an international stage, that has seen her perform alongside some of hip hops most iconic names. 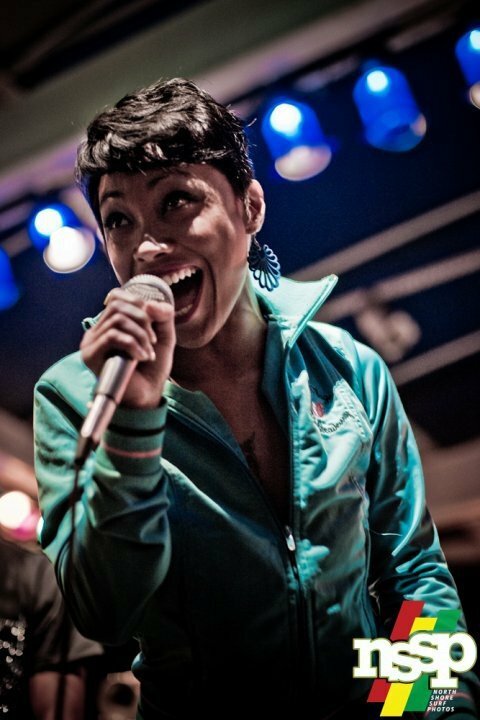 Mirrah is a woman whose mission in life is to create music and a dialogue that stretches beyond society’s definition, to inspire urban youth all over the world to seek their own path through music and to be an original in all she does. Read on to discover more about this fascinating woman who is always herself, authentically! How could you best describe your sound and the message you wish to deliver to anyone listening to your music? I grew up to various genres and pioneers in hip-hop, Folk and Pop music i.e. Rakim, Bob Dylan, Madonna and Neneh Cherry, each one of them write stories that present their vision of their culture, mind state, protest or reflecting their personal or interpretation of world’s problems or happiness. So I feel my music reflects the same. Your journey has been one of raw emotion, grit and an honesty many rhyme about but only few have lived – as a female in the game and on that journey what would you say were the defining moments in your life that have led you to where you are at this point in time? Defining moments in my life were being born, and then adopted, traveling the world as a child and now as an adult. Then meeting and dating different types of males, experiencing being abused in a relationship, growing and recognizing to regroup within and re-believing in self. Also learning to love myself as well as another man again, which became one man who reintroduced to me the greatest representation of what a man, lover, confidant and business partner is. I call him my king as he has given me a soulful honorable crown representing as his queen which any woman desires to be when one honors her life as a wife. All that above, has led me to where I am in my life at present. Who are your musical influences, Hip-Hop or any other genre that have inspired you and why? I love sounds, vocals, instruments. I’m pretty open when it’s a soul catcher of a tune which compliments my mood and thoughts at the time. Music to me is my soundtrack, so when my spirit feels in limbo, or hype about a subject, it brings it right back to its core of feeling whole. What would you say is your biggest motivator / driver to stay on top of your game and as original as your style and sound is? Simply to represent me. Not to follow the times, the now-sound trends and to have songs that are timeless. You have worked extensively with the youth of Australia and are currently involved in a program engaging underprivileged musicians? Please tell me about that and how that work inspires you as an artist? I have taken this year off from music to work on my studies at TAFE Certificate 4 Youth work and for the young people so I can be fully alert and beneficial each new day spent with new opportunities that come my way with fellow youth workers and supporters to have the voice of young people to have their voice heard via music or through dance performance and sports. I am honored to be a part of Musicians Making a Difference. I am an Artist Ambassador with the likes of Maya Jupiter, Bliss N Eso, and Kelly Rowland, a project which advocates the positive of fun music that young people can do! Please check out www.mmad.org which is full of great programs for young people to empower them. To help others is what I was born to do, based on being adopted at 4 months old from Indonesia and given a chance to live a full zestful life. I feel that when music was introduced to me it was a representation of my unknown birth parents. At an early age it reassured me of whom I was and could represent. We as humans go through so many stages in our life that we hope to learn from. We all grow up in various ways, and some lessons are harder than others due to our socio-economic and emotional challenges. I wanted to be a part of the community of youth and community workers to create safe, fun assistance so young people are empowered to feel they can achieve their aspirations towards education, empowerment, occupational and career opportunities. Music was and is a great way to build rapport and it’s important to invest time and long term support for young people to insure they are ready to meet and conquer their challenges. Most people will know of your involvement in the talent search with TLC a few years back – for those that don’t know can you explain briefly what that entailed, how close you got to winning and what that experience gave you? ‘R U the Girl’ was an American reality series that aired on UPN in 2005. The series featured the remaining members of the all-girl R&B group TLC; Chilli and T-boz. The winner of the contest would not join TLC full-time but provided guest vocals and perform on their single by the duo. There were 9 female contestants who had to write songs, perform, choreograph our own routine and to prove we each were triple threats, sing, rhyme, write lyrics, dance and perform. At the end of the competition I made it as runner up. It was such an awesome experience I will never forget it. Co-hosting ‘The Worldwide Radio Show’ with Stan Bravo has seen you engage in yet another medium of our urban community, share your thoughts and also meet some amazing artists and talents that come through the airwaves – how has that experience been and what have you learnt about yourself on radio? To be aware of your words, your motive and professionalism. Ears are listening even when you think they aren’t. Your early days back in the US saw you appear in some of the hottest hip hop videos with Jay Z, Memphis Bleek etc. …..how did you get into music videos and how would you say things have changed for the female portrayal today as opposed to when you were filmed literally having fun and with all your clothes on? I was a model with dance experience under my belt that started out as an extra and was supported by friends who were casting agents who sent me out to auditions.I represented myself righteously as a woman on sets and humbly proud to share was a pleasure to have on set for my professionalism and classy manner. When I auditioned for roles by directors who had worked with me in the past and I happened to match their look for their character as lead I was booked happily. They knew that I would get the job done and have an easy, fun and positive day on set. I learnt that as an actress and model, as a woman we have choices to choose the job we wish to take on or have been presented to you. If the character or clothes don’t suit your beliefs then one may choose to not continue the job. I learnt from that. It luckily worked out for me the jobs I auditioned for as my agent was supportive in my roles I requested to be a part of. Also as an independent artist I learnt so much to prepare me for my own path in my music future. I also acknowledged the amount of talented people who are apart of making a film, TV and video production are amazing. Such as the sound, lights and film crew, makeup, hair and catering crew. It all makes a day run smooth and enjoyable to prepare, and perform. What are you currently working on Mirrah, musically? Can we expect a studio album from you at some stage? I’m hoping next year will be a busy recording and album launching year. How would you best describe the urban music community/ scene here in Australia and why? It’s on a low slow simmer, a long way before boiling point. Our local soul and hip-hop community still needs more financial, business, and media support and recognition like pop music, it needs to be acknowledged that soul and hip-hop is now a huge part of the popular culture, and there is many unknown local talents out there. Luckily The Voice TV show shared many hard working independent artists who are now recognized and respected. How do you balance being such a multi-faceted artist, youth mentor, writer, wife and Mirrah at the end of the day and always remain so spirited, happy and centered? Living in and with gratitude of the life I have been given, and I live and learn new experiences each second, that keeps me centered. What would you most like to be remembered for one day, when all is said and done? That I loved to smile honestly! Tune into Mirrah on The Worldwide Radio Show with Stan Bravo every Saturday from 8-10pm on 93.7FM Koori Radio. ← Sydney’s Uncle Abe Talks Hip Hop, Upholstery & The Fine Art of ‘Man-ing’ Up!